Conference Theme: 'Social Policy: Radical, Resistant, Resolute'. We now welcome proposals for individual papers; and especially for symposia (sets of 3 themed papers); and for post-graduate symposia; and also for social policy papers focusing on issues outside the conference theme. Please note that this year we will be using the Easychair conference system for abstract submissions. The Easychair website for the SPA 2016 conference is https://easychair.org/conferences/?conf=spa2016 where you will be asked to register with a valid email address and a password. The final deadline for submissions will be Friday 15 April 2016 . Submission of Conference Papers and Powerpoint Presentations: Conference papers should be submitted through the Easychair website by Friday 3rd June 2016. Powerpoint Presentations should be submitted by Friday 17th June. It is suggested that conference papers should be in the region of 4-6,000 words. SPA Awards for best post-graduate paper and best paper by an early career researcher. Please note that when uploading conference papers you will be asked to indicate if you are a post-graduate student or an early career researcher (within five years of first post-graduate post). Unless you tick the box to opt out your paper will automatically be entered for the award which will be presented at the 2017 conference. Abstracts should be 200-400 words. A 200-word outline of the aims and content of the symposium (including contributors' names and email addresses). All abstracts and symposium proposals will be reviewed by the Programme Committee up to the deadline of Friday 15 April 2016. Confirmed presenters, delegates will be sent a link to upload their full papers in advance of the conference. A number of places at 50% of the full conference early bird rate will be available for post graduate delegates who are SPA members and have an abstract accepted for the conference. There are still a few places available for SPA Post-graduate bursaries and the deadline has been extended to 6 April. Please complete this application form. Kathryn Edin is a Distinguished Bloomberg Professor in the Department of Sociology, Zanvyl Krieger School of Arts and Sciences and Department of Population, Family, and Reproductive Health, Bloomberg School of Public Health at Johns Hopkins University. 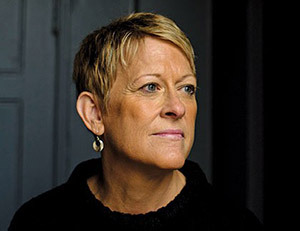 She received her Ph.D. in sociology from Northwestern University in 1991 and also taught at Rutgers University, Northwestern University, the University of Pennsylvania, and, most recently, Harvard University as a Professor of Public Policy and Management at the Harvard Kennedy School and chair of their Multidisciplinary Program in Inequality and Social Policy. She is a Trustee of the Russell Sage Foundation and on the Department of Health and Human Services advisory committee for the poverty research centers at Michigan, Wisconsin, and Stanford. She is a founding member of the MacArthur Foundation-funded Network on Housing and Families with Young Children and a past member of the MacArthur Network on the Family and the Economy. In 2014 she became a member of the National Academy of Sciences and the American Academy of Political and Social Sciences. Kathryn Edin studies poverty by deploying ethnographic observations, in-depth interviews, and mixed method approaches to the domains of welfare and low-wage work, family life, and neighborhood contexts. She has taken on key mysteries about the urban poor that weren't been fully answered by quantitative work, including: How do single mothers possibly survive on welfare? Why don't more go to work? Why do they end up as single mothers in the first place? Where are the fathers and why do they disengage from their children's lives? How have the lives of the single mothers changed as a result of welfare reform? Her work has convinced many in the poverty-research community that deep insight into the lives of the poor requires both surveys and systematic qualitative explorations. A primary contribution of her research, beyond its substantive and theoretical merit, is thus the linkage between surveys and qualitative components. Now considered mainstream, this method has been incorporated into many of the most important national poverty studies. She has authored five books with a sixth forthcoming and some 50 journal articles. Tess Ridge is professor of social policy at the University of Bath. 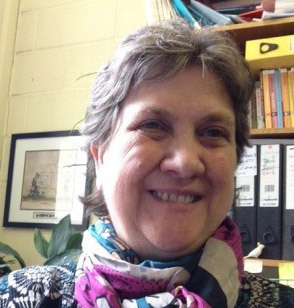 Elected to the Academy of Social Sciences in 2013, she is an expert in the study of childhood poverty and social exclusion, especially exploring the experience of poverty and disadvantage from the perspectives of children themselves. She developed some of the first research to reveal the complex ways in which poverty affects children's lives. She has a keen interest in child and family policy, especially the provision of welfare and economic support for low-income and separated families. Her research challenges policy makers to take children's needs and concerns seriously when trying to understand what works best for low-income children at home, in school and in their neighbourhoods. She has extensive experience of carrying out qualitative research with disadvantaged children and their families, including the design and development of innovative qualitative longitudinal research (QLR). She is the author of several books including Childhood Poverty and Social Exclusion: From a Child's Perspective. She has brought low-income children's voices into the policy process through a series of critical knowledge transfer activities including internships within UK government at the Cabinet Office, and the Child Poverty Unit where she contributed to the development of the Child Poverty Act, 2010. At a local governance level, she works with Local Authorities in the development of child poverty strategies which are informed by the needs and concerns of local children. At an international level she has worked with, among others, the OECD, UNICEF, ChildONEurope and the European Commission. At the heart of her research lies a fundamental concern with social justice and the ways in which children in poverty are understood, addressed and governed through the policy process, including the implications for low-income children and young people of 'austerity' policies and the impact on their everyday lives of political, social and economic change over time. 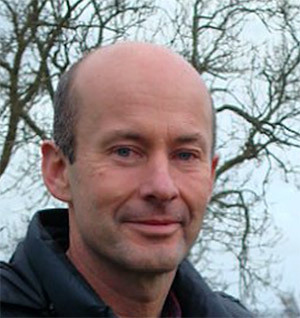 David Lewis is professor of social policy and development at the London School of Economics and Political Science, and currently Head of Department. An anthropologist by training, he teaches and undertakes research on the theory and practice of international development, with a specialisation in development policy issues in South Asia, non-governmental organizations (NGOs) and civil society, and rural development. He has carried out fieldwork in Bangladesh, Nepal, Sri Lanka, the Philippines and the UK. He is author of several books including Anthropology and Development: Challenges for the 21st Century (2015, with Katy Gardner), Non-Governmental Organizations, Management and Development (2014), Non-Governmental Organisations and Development (2009, with Nazneen Kanji) and Bangladesh: Politics, Economy and Civil Society (2012). He has served as a consultant to a wide range of organizations including the UK Department for International Development (DFID), the Swedish International Development Cooperation Agency (Sida), the International Food Policy Research Institute (IFPRI), the Body Shop plc and Oxfam GB.